As I did not start tennis at a young age nor trained under any professional coach, I’ve dedicated myself heavily to continuing education, and these investments of both time and financial resources have paid off exponentially for me. Eventually, I began receiving more and more questions about tennis resources, tennis tips, tennis trainings and tennis products etc. I also receive inquiries about the best products to help individuals reach specific goals. With these questions in mind, I created this tennis resource page to help point people in the right directions. The resources will be added on progressively so do come back frequently to check for updates. I’ve divided my recommendations into several categories. This category is extremely broad. The single most valuable free resource you have is your network: friends, colleagues, coaches, and training partners. You simply need to interact with as many people as humanly possible; everyone has something to teach. This may come in the form of conferences or just calling or emailing someone like me to shoot the breeze. Remember, the end-goal should always be to incorporate bits and pieces from a variety of different coaches and schools of thought in creating your own unique tennis philosophy – one that is working well for you to improve your tennis. These tennis websites are not ranked in any order. They are all great in their own ways. I really admire these coaches' dedication to provide tons of great tennis information to benefit the tennis community. Resources: Online Tennis Courses, Books, Manuals, DVDs, etc. Serve Unlocked - This is my top recommendation for the tennis serve course if you want to learn how to serve better effortlessly. I love the video presentations as Tomaz Mencinger did an excellent job in explaining how to unlock your serve potential. Tons of great tennis serve information inside this course. I have also written a full review on this serve course. Tennis Serve Secrets - This tennis serve course by Jeff Salzenstein is a great investment for any tennis player who wish to make their serve a weapon. It contains many video lessons, e.g. 10 Big Ideas for the tennis serve, techniques explanation, slow motion demonstrations, drills and many value added bonuses. You can enter your e-mail to get access to free tennis serve lessons before deciding whether this course is suitable for you. Total Tennis Training - If you want to become an all round player or good tennis coach, then this course is definitely for you. 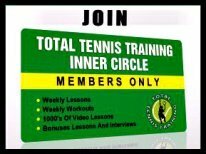 Whatever you need to know about tennis, e.g mental tips, techniques, footwork, fitness workouts specific to tennis, nutrition etc, are all covered in this inner circle. The videos lessons that are in Jeff Salzenstein's website are also covered more in-depth in this inner circle. Web Tennis Drills - It is the go-to site where you can find the best tennis practice plans, tennis drills, stroke progressions, footwork and fitness exercises. This was the inspired idea of a tennis teaching professional, Cosmin Miholca, who thought that sharing all his tennis knowledge will be of benefit to thousands of tennis coaches, tennis parents and future tennis stars. Infinity School Of Tennis - The training method behind the champions is now available to you. The Infinity School of Tennis has decoded the geometry that is the blue print of the natural athlete and the top tennis players in the World. Now you can play with the same efficient, effortless and powerful strokes of the pros. From the very first video lesson, you will begin to understand the optimal contact point for every shot in the game. Not only will you transform your game, you will gain a new perspective that will heighten your experience on court. The Infinity School of Tennis is the only step by step tennis system on the net, and it works! The online school contains over 100 video lessons, and each one is available in English, Spanish and French. The methodology is easy to follow with unique camera angles. It is not a rehashing of tips and drills, but a true breakthrough in the game itself. The Inner Game Of Tennis - The Inner Game of Tennis is a revolutionary program for overcoming the self-doubt, nervousness, and lapses of concentration that can keep a player from winning. This book not only improved my tennis game, it made the game infinitely more enjoyable for me. Gallwey explores the psychology of tennis, focusing on how most players hurt their game by thinking too much, and offers detailed, common-sense advice to combat that problem. You won't find a lot of specific tips like "watch the ball" and "follow through", instead you'll learn how to observe your body and your game in an enlightening way that at the very least will give you a greater appreciation for your abilities, and at most, forever change the way you play tennis - for the better. If you're looking for a book to improve your tennis game, you can't go wrong with the Inner Game of Tennis. Tennis Mastery: Advance Beyond the 3.5 Level...and Never Look Back! Without a doubt, this is one of the best books written on how to develop different tennis strokes...Dave Smith is as good as they come and the book is well organized. The explanations are easy to understand and digest. If you feel that you need a boost in your tennis results, get this book. If you are satisfied with your results, get it anyway -- you will be surprised. If your tennis lessons are always about strokes, tosses, serves, etc. This book will open for you the world of the game tactics, strategy and psychology. I enjoy this book so much is because of how Brad Gilbert makes points by explaining how he has actually used what he talks about against players like Jimmy Conners, Boris Becker, John McEnroe, Ivan Lendl, and Andre Agassi.... and it is a very entertaining book too. Though the heading states non tennis related, I feel that the resources that I am going to recommend have an impact on your tennis too. If you love the look and feel of my tennis website, then you got to look at the company that host my website. Site Built It! is not just helping me to create a blog or website, it is helping me to create a business. 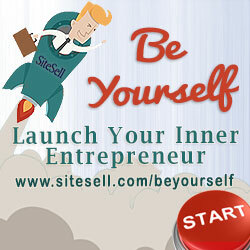 If you have a passion for something and wants to share with others, click the image below to see how Site Built It! can help you. Show and Go is a strength training program revolving around free weight compound exercises that takes 2 to 4 workouts per week (you choose). The manual comes as a digital product (instant download, free shipping worldwide) with 175 high quality videos of all the exercises and mobility drills. Personally I have gone through the strength training program and I can tell you that having improved strength and power greatly improved my tennis as well. Why Should You Listen to Eric Cressey? Eric Cressey is the author of 4 popular books, including the bestseller “Maximum Strength”. He has written over 200 articles for magazines like Men’s health, and his Master’s thesis was published in the peer-reviewed “Journal of Strength and Conditioning Research”. If you want to get live tennis scores from all the tournaments, this is the website to go. I love this website for its comprehensive coverage of all the major sports like soccer, basketball, rugby and cricket. From "Tennis Resources" To "How To Play Tennis Efficiently And Become A Better Player"